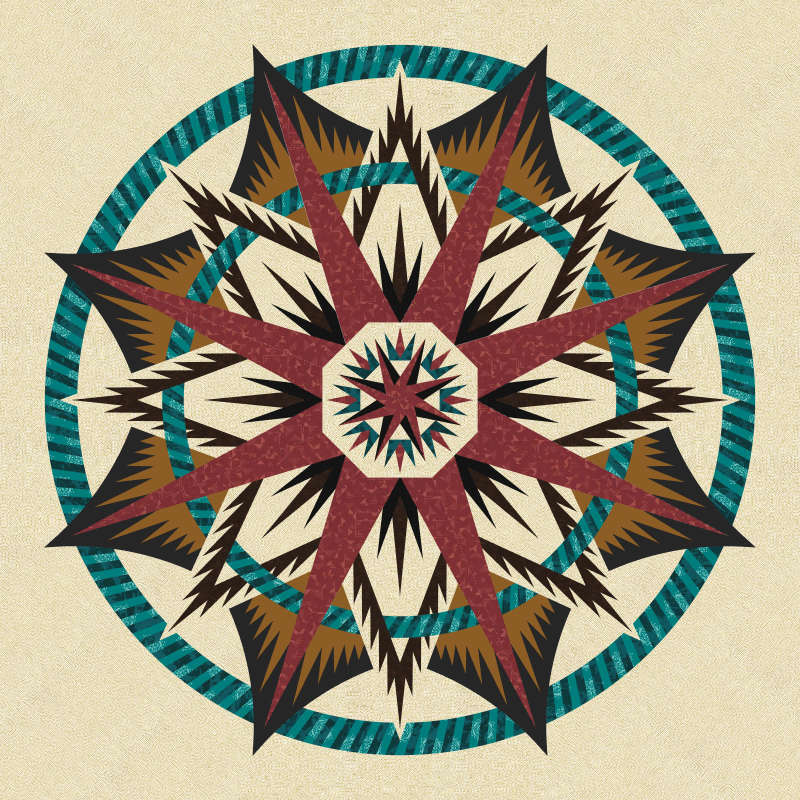 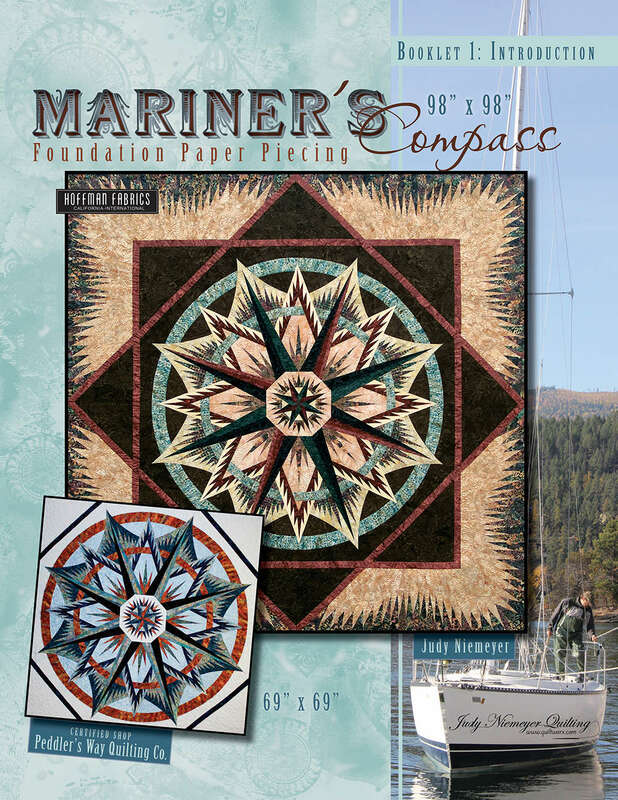 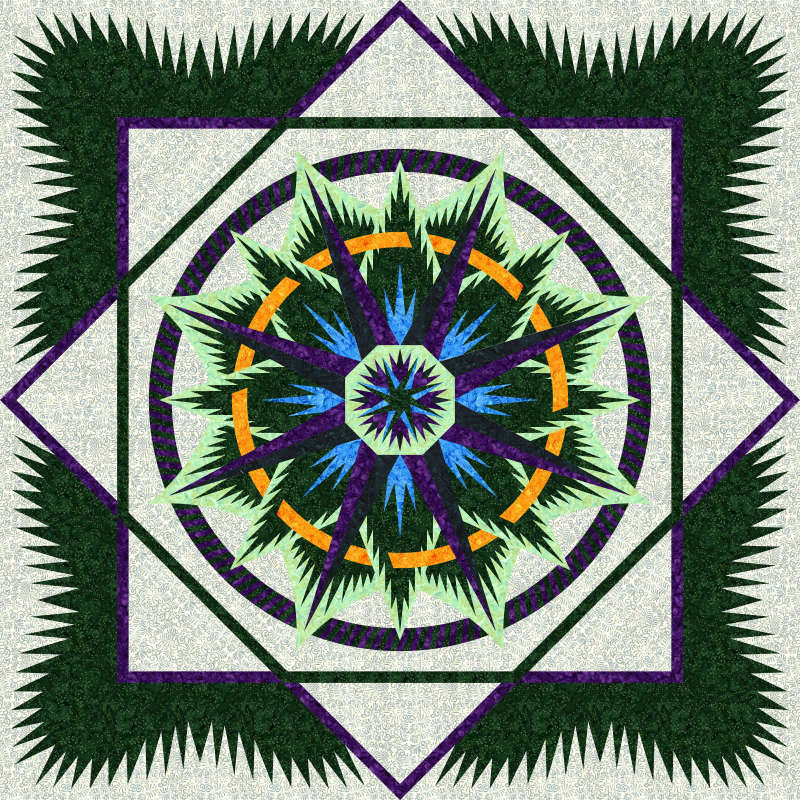 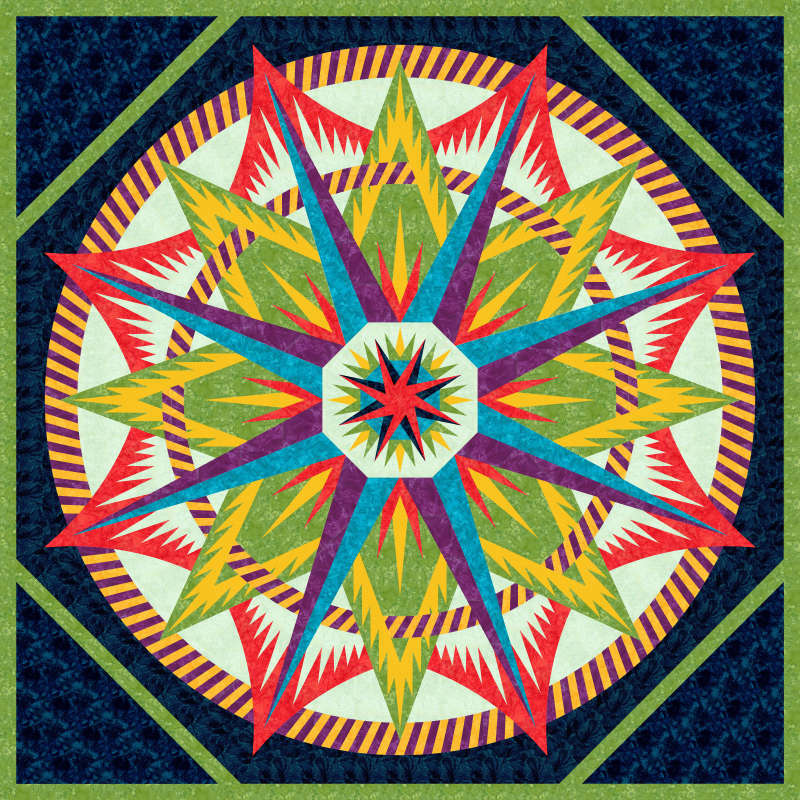 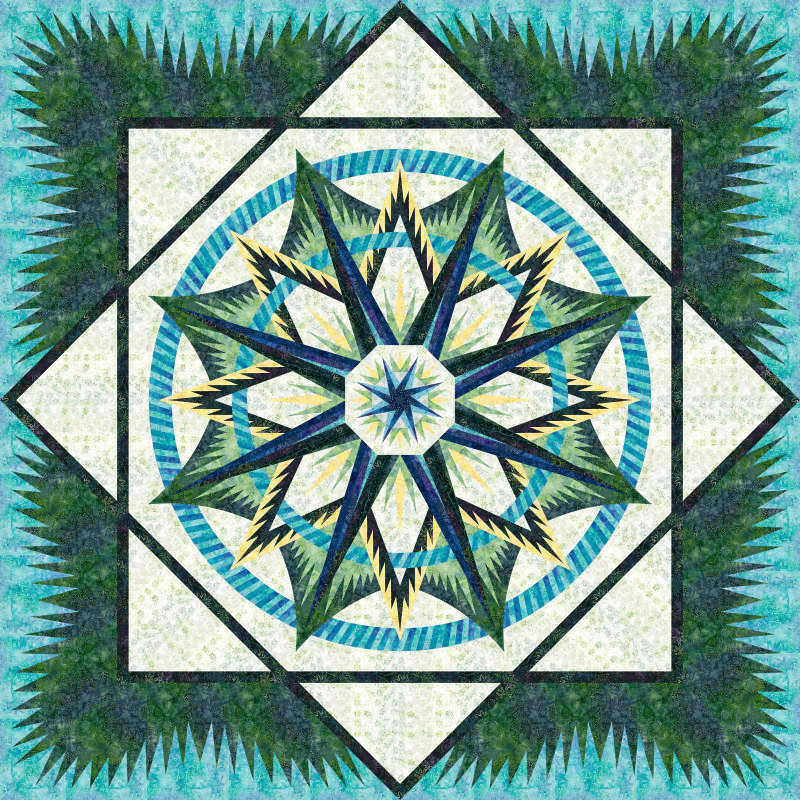 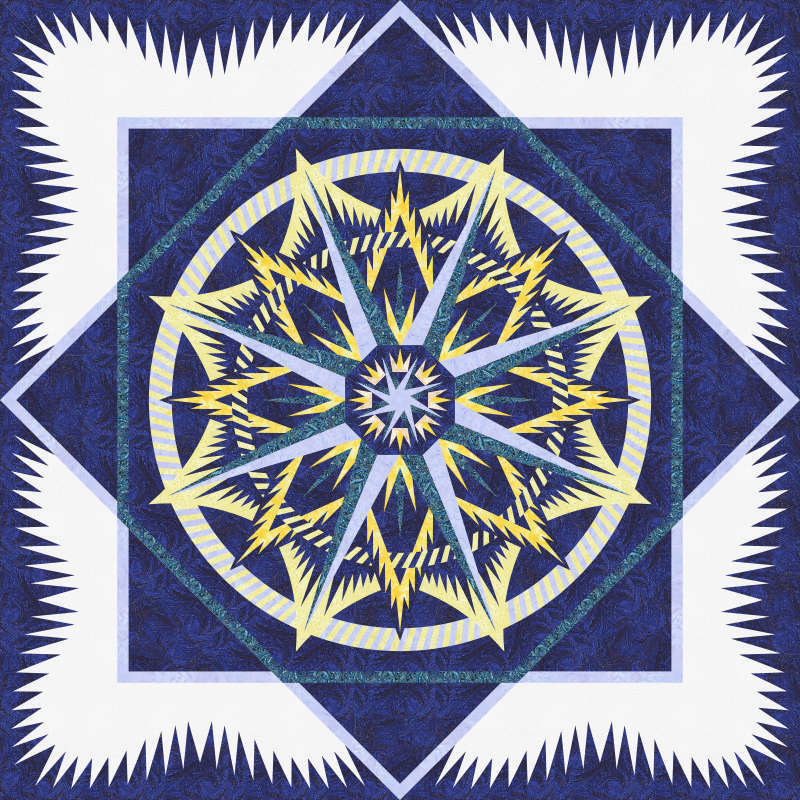 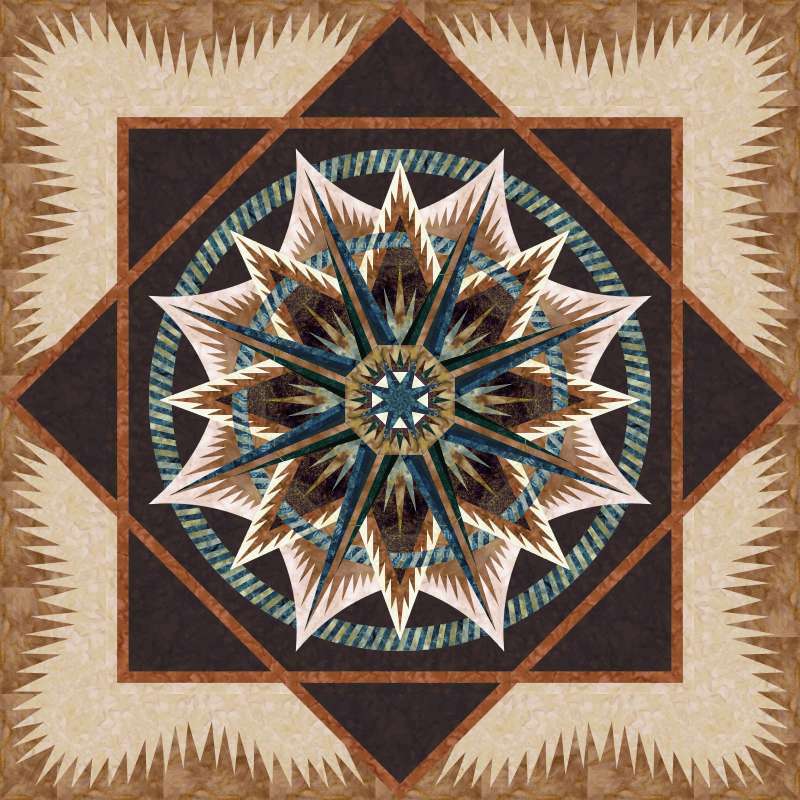 Mariner's Compass is a Quiltworx Technique of the Month. 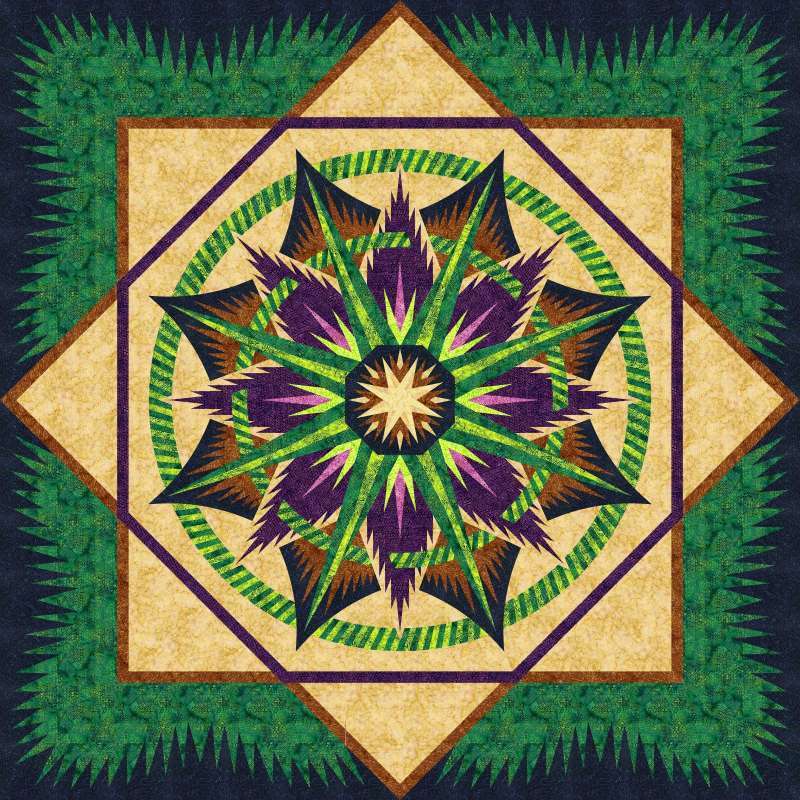 This pattern is available for purchase through Certified Shops and Instructors ONLY. 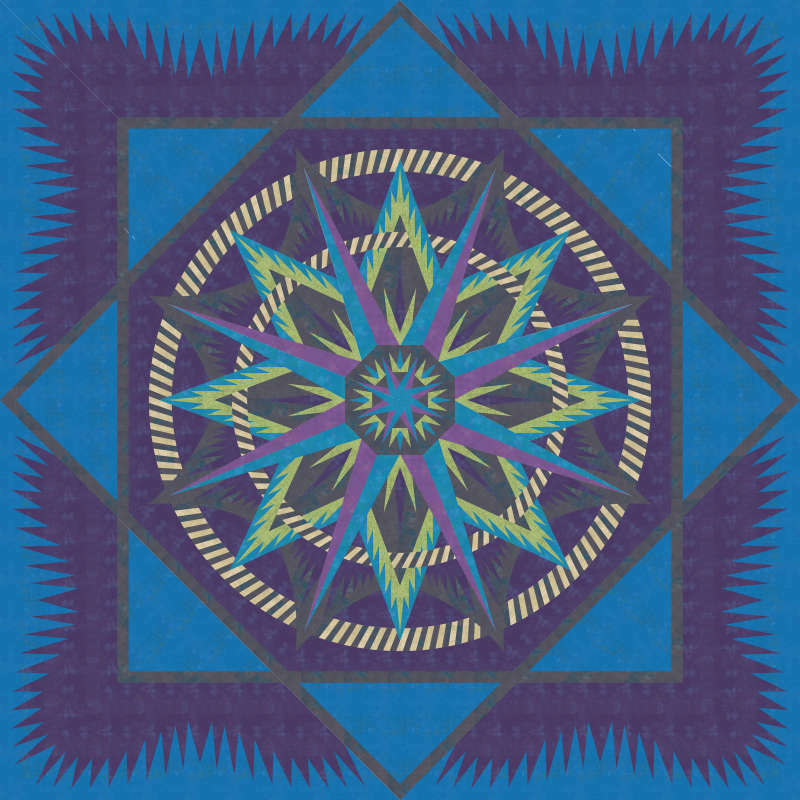 Click the "Buy Pattern" button to find one near you and to get pricing.. 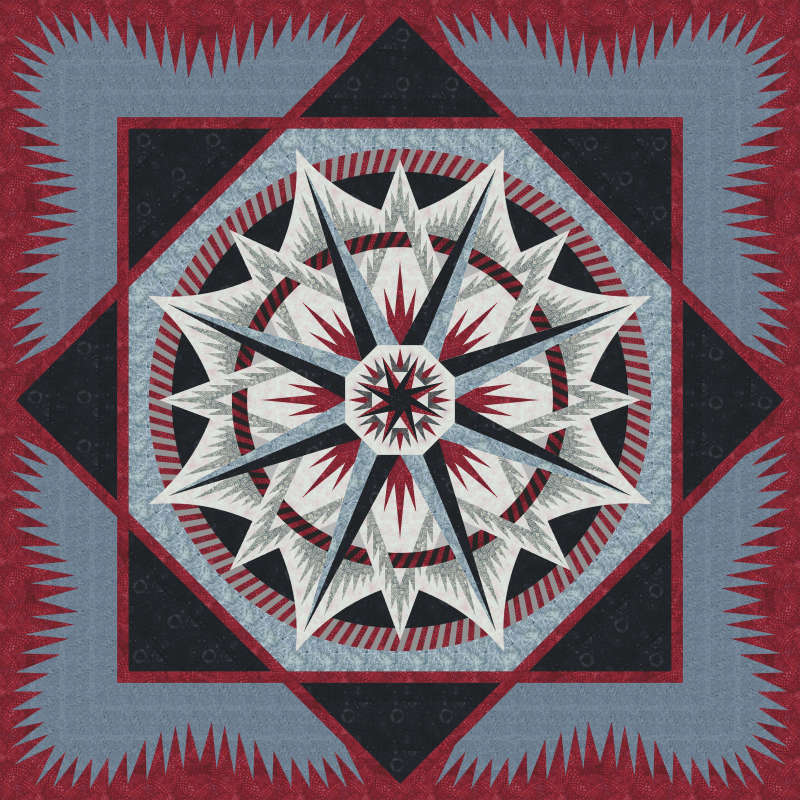 Meanwhile, subscribe to Quiltster and upload your own fabric or use any of the thousands of preloaded swatches to create your very own colorway and get an automatically generated yardage chart! 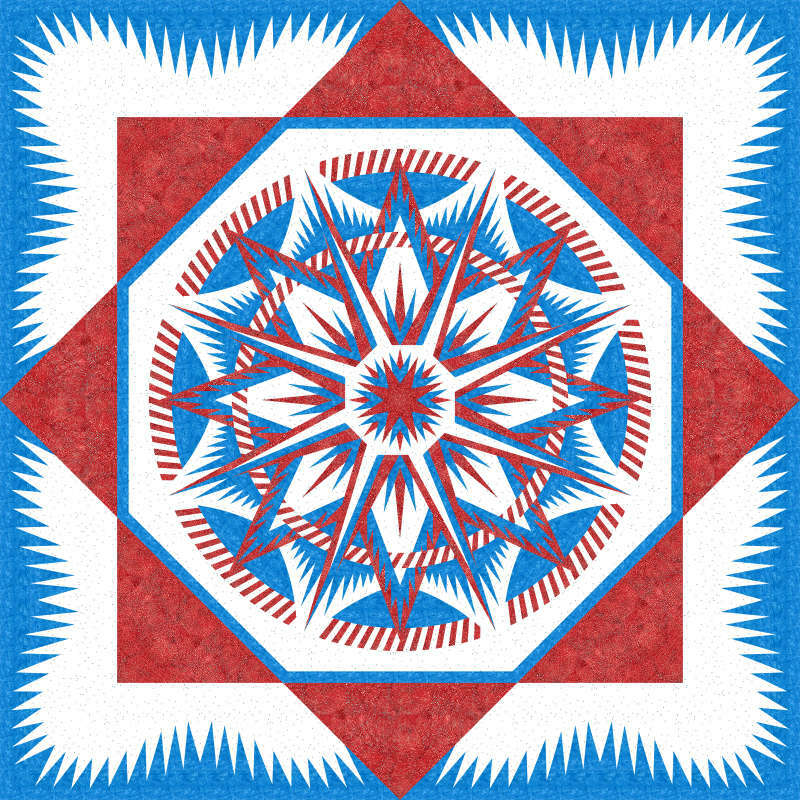 #QuiltYourStory with Quiltster.